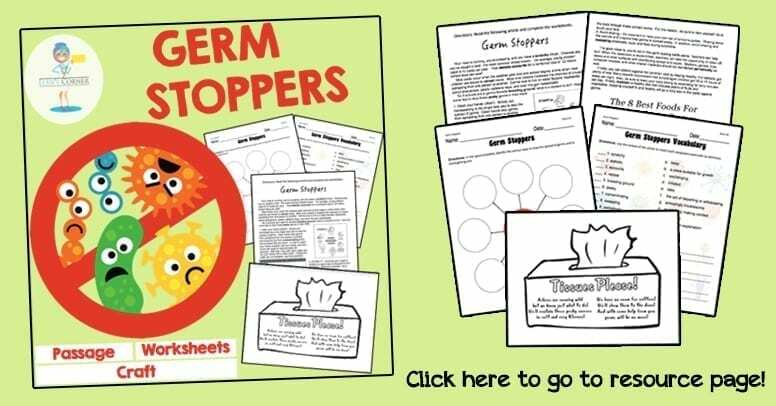 Germ Stoppers in YOUR Classroom! It’s official – my classroom has become a 1,200 square foot petri dish. The contagious sneezing, sniffling, coughing and hacking is depleting my sick day reserve with speed and fury. I’ve tried to counteract the germ overload with all the cliched teacher remedies: high doses of Vitamin C, echinacea, zinc lozenges, Airborne, and the list goes on. 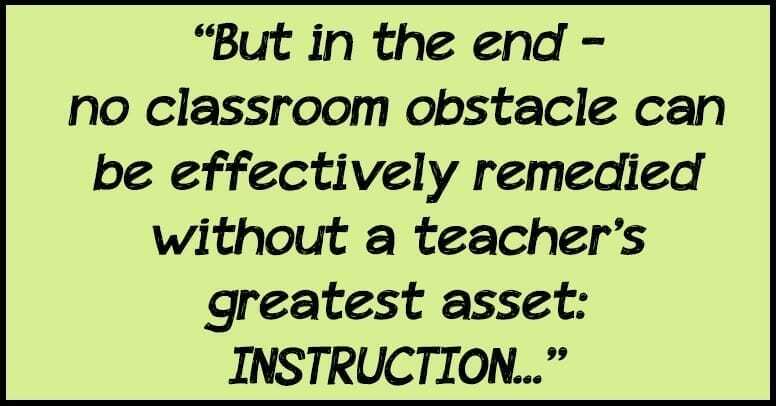 But in the end – no classroom obstacle can be effectively remedied without a teacher’s greatest asset: a great lesson plan and (in this case) some help from the germ spreaders themselves (our adorable sneezing students). This cootie catcher brigade is starting with “Germ Stoppers”; an engaging reading comprehension passage (with corresponding activities) dedicated to reviewing the fundamentals associated with putting a stop to the spread of germs; facts that might seem basic to the average adult, but have certainly escaped the attention of our school aged children. 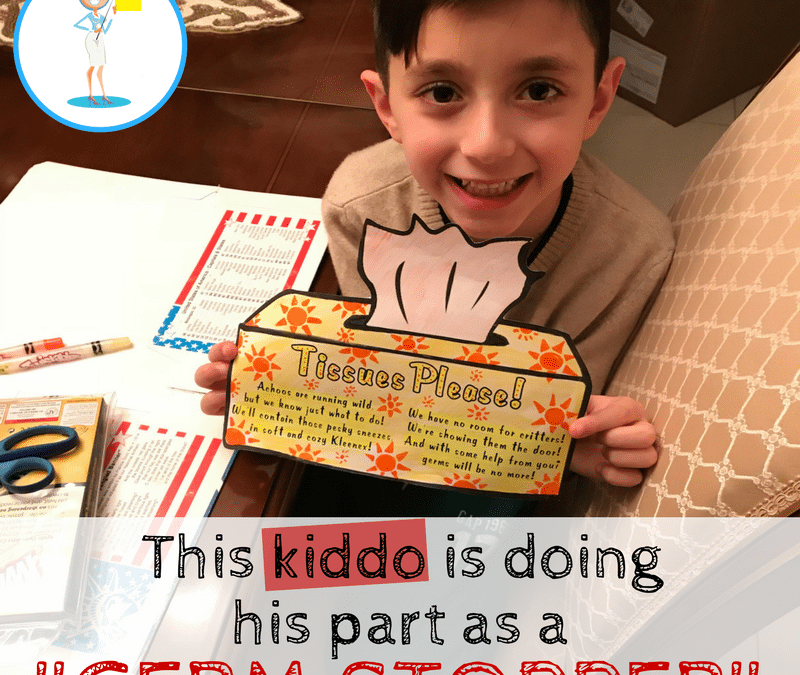 “Germ Stoppers” will teach students how to defend against sick day viruses by stopping germs in their tracks. Everything from proper handwashing techniques – to cough and sneezing etiquette are covering in this engaging and informative teaching resource. 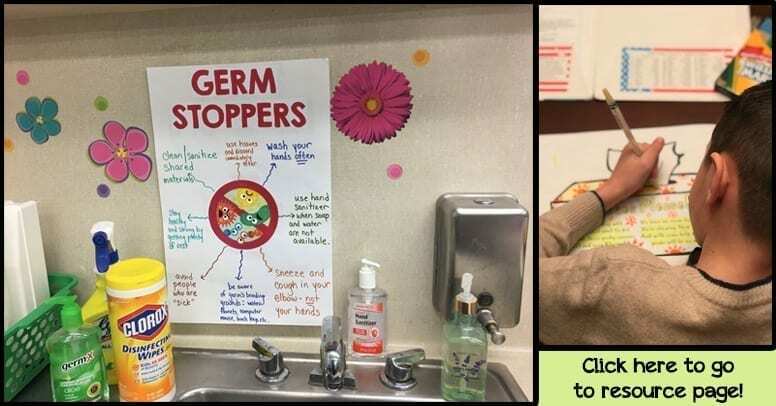 And to ensure that the germ stopping remains in effect for the entire school year, it’s a great idea to display a germ stopping anchor chart that summarizes the many techniques associated with keeping the ‘cooties” out of the classroom. And lastly, so that we can catch those pesky germs before they invade our educational arenas, have the students design their very own tissue box to bring home to Mom and Dad. These cootie catching crafts serve as the perfect reminder to keep the tissue donations coming. Download this free cootie catching craft by linking on the link below.